As police investigate the two pilots of a Malaysian passenger jet that disappeared more than a week ago, a possibility they must consider - however remote and improbable - is that one of them committed suicide -and mass murder in the process. As police investigate the two pilots of a Malaysian passenger jet that disappeared more than a week ago, a possibility they must consider -however remote and improbable - is that one of them committed suicide -and mass murder in the process. While such incidents have happened before, the topic remains almost taboo, with investigators and officials reluctant to conclude that a pilot purposely crashed a plane in order to commit suicide even when the evidence appears compelling. A dozen years ago, U.S. investigators filed a final report into the 1999 crash of EgyptAir Flight 990, which plunged into the Atlantic Ocean near the Massachusetts island of Nantucket, killing all 217 aboard. They concluded that when co-pilot Gameel El-Batouty found himself alone on the flight deck, he switched off the auto-pilot, pointed the plane downward, and calmly repeated the phrase "I rely on God" over and over, 11 times in total. Yet while the National Transportation Safety Board concluded that the co-pilot's actions caused the crash, they didn't use the word "suicide" in the main findings of their 160-page report, instead saying the reason for his actions "was not determined." Egyptian officials, meanwhile, rejected the notion of suicide altogether, insisting instead there was some mechanical reason for the crash. There was also disagreement over the cause of the crash of SilkAir Flight 185, which plunged into a river in 1997 during a flight from Jakarta, Indonesia, to Singapore, killing all 104 passengers and crew. A U.S. investigation found that the Boeing 737 had been deliberately crashed, but an Indonesian investigation was inconclusive. Mozambique officials have been investigating a crash that killed 33 people in November. They say preliminary investigations indicate that the pilot of the Mozambican Airline plane bound for Angola intentionally brought it down, and they're continuing to look into his possible motives. A 2014 study by the Federal Aviation Administration indicates that in the U.S. at least, flying remains a remarkably safe mode of transport and pilot suicide is a rare occurrence. The study found that during the 10 years ending in 2012, just eight of 2,758 fatal aviation accidents in the U.S. were caused by pilot suicide, a rate of 0.3 percent. The report found that all eight suicides were men, with four of them testing positive for alcohol and two for antidepressants. The cases ranged from a pilot celebrating his 21st birthday who realized a woman didn't want a relationship with him, to a 69-year-old pilot with a history of drinking and threatening suicide by plane. Seven of the cases involved the death of only the pilot; in the eighth case, a passenger also died. "Aircraft-assisted suicides are tragic, intentional events that are hard to predict and difficult to prevent," the FAA's report found, adding that such suicides "are most likely under-reported and under-recognized." In at least one case, a major international airline allowed a pilot who had expressed suicidal thoughts to continue flying. He flew nearly three more years, without incident, before he resigned in 1982 with severe obsessive-compulsive disorder, anxiety and depression. The Sydney Morning Herald newspaper reported that the Workers Compensation Commission heard that the Qantas pilot struggled several times to resist an overwhelming urge to switch off the plane's engines. Once during a flight to Singapore, the pilot's hand moved "involuntarily" toward the start levers and he was forced to "immobilize his left arm in order not to act on the compulsion." "He left the flight deck and, once he felt calm enough, returned to his seat," the newspaper reported. After telling his colleagues of his urges, the newspaper said, the pilot was examined by several doctors and ultimately declared fit to fly. 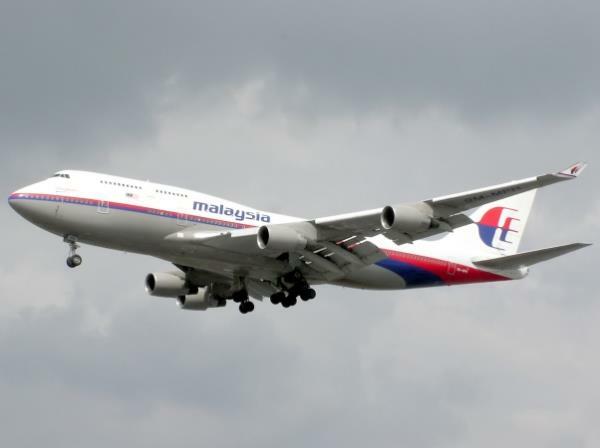 Malaysia's government said police on Saturday searched the homes of both the pilot and the co-pilot of the missing Malaysia Airlines jet. It said police were examining an elaborate flight simulator taken from the home of 53-year-old pilot Zaharie Ahmad Shah. Police also are investigating engineers who may have had contact with the plane before it took off. Mike Glynn, a committee member of the Australian and International Pilots Association, said a pilot rather than a hijacker is more likely to be able to switch off the communications equipment, adding that he thinks suicide was to blame in the EgyptAir and SilkAir crashes. "The last thing that I, as a pilot, want is suspicion to fall on the crew, but it's happened twice before," Glynn said. Still, there is no explanation why the pilot of the missing Malaysia Airlines plane would spirit the jet away to an unknown location and not crash it soon after taking off if he had wanted to commit suicide.